It’s a very exciting day in the FIRST Robotics calendar, the day the game is revealed and the six week build season starts. It looks like a great game this year. I am particularly fond of the bonus points for balancing with an opposition robot at the end of the game. If you’ve got high school kids, they really ought to be taking a serious look at joining a FIRST team like MAX1071 here at Wolcott High School. Just two years after building robots, Iona is now building satelites with NASA’s Chief Technologist! 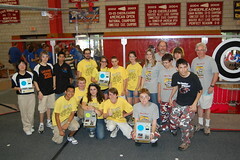 Today was the kickoff of the 2011 FIRST Robotics season. Iona and I joined in with Team MAX1071 to watch. *There was originally a video link here which is unavailable. This weekend was the 3rd Annual Where Is Wolcott Invitational (or WIWI) as we like to call it. 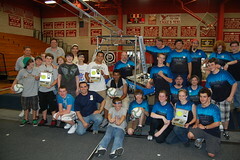 This is where Team MAX, build the game field from this years FIRST Robotics game in the Wolcott High School gym and runs a day long competition. Yesterday, we started early (5:30am at the high school) and took a small, crack team down to Bridgewater, New Jersey to compete in their invitational the Bridgewater-Raritan Battle Royale. In many ways the point of the trip was to bring back the field for our tournament next week, but not only did we compete, we won! 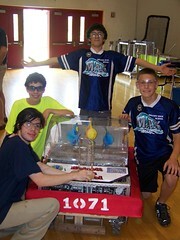 on June 5th Team MAX 1071 will be hosting the Where Is Wolcott Invitational. 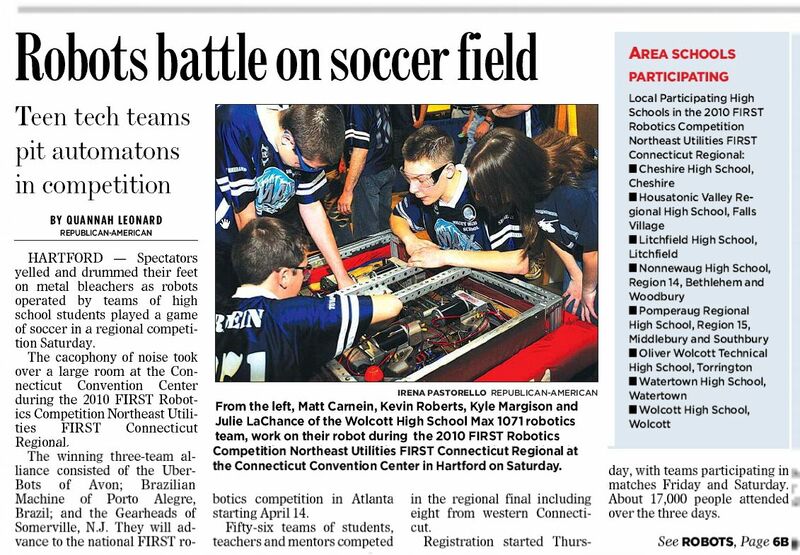 This is an opportunity for FIRST Robotics to come and compete at this year’s game Breakaway in a slightly more relaxed environment. We have a great time hosting the event and we add some fun twists. One of these is having a “Mentor Team”. Team GUS is very generously letting old fogies use their spare robots and mentors from any team can sign up to take on the students. If you are interested, sign up here. It was a wonderfully successful morning. 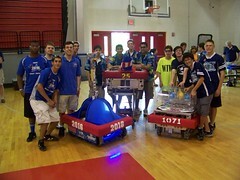 Team MAX 1071 won 2 matches and tied 1 to finish qualification ranked 11 out of 58 teams. With that we ended being captain of the 8th seeded alliance which is very impressive but leaves you playing the top seeded alliance in the first round of elimination. 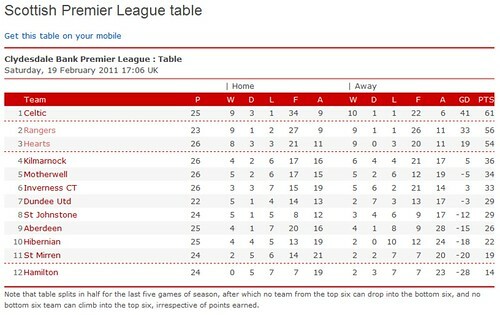 (breaking news: we lost that first game – best of 3 – 14-10 with a valiant effort. Not only did the team have to play well, but they had to represent themselves in a series of interviews. 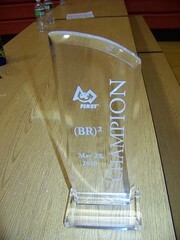 And… we won an additional award, the “bling-y-est bot award”! Still more robotics, end of day one. Day one ended with a couple of nice victories to leave Team Max heading into the final qualification matches and hopefully the elimination rounds tomorrow with things looking good. On top of that, their various interviews and presentations seemed to go well, and Iona was on the 6 o’clock news. 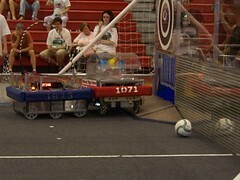 A fine performance in autonomous mode. By Justin Brockie|2016-11-03T04:24:25-05:00April 2nd, 2010|Categories: Robotics|Tags: FIRST Robotics, MAX 1071|Comments Off on Still more robotics, end of day one.